With Rob Cowan. Five Reasons to Love Glenn Gould; Mystery Object; Artist of the Week: Lorin Maazel; Rob's Essential Choice: L Couperin: Prelude a l'imitation de Mr Froberger. Discover definitive recordings of the greatest classical music with your trusted guide, Rob Cowan. This week his guest is the radio and TV presenter and novelist Francine Stock. A selection of music including '5 Reasons to Love - Glenn Gould'. Throughout the week Rob makes the case for the polarising pianist Glenn Gould in music by Byrd, Beethoven, Mozart, Brahms and Bach. Take part in our daily challenge and identify what is being described. The radio and TV presenter and novelist Francine Stock joins Rob in the studio. 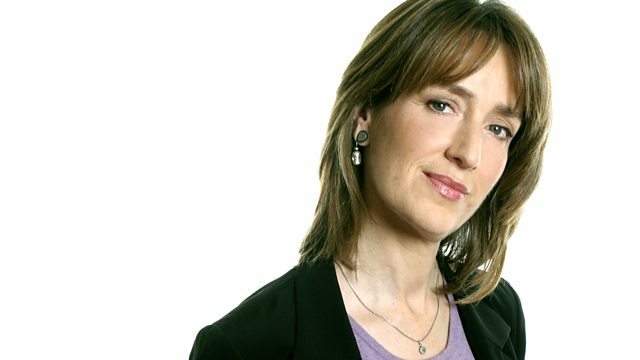 Francine was one of the original presenters of BBC Radio 4's Front Row and later moved to The Film Programme, as well as writing about film for Prospect magazine. On television she has presented Newsnight, The Money Programme and The Antiques Show, and she is also the regular host of the BAFTA Life in Pictures strand. As a novelist, she has published two works of fiction: A Foreign Country (shortlisted for the Whitbread First Novel award) and Man-Made Fibre. Francine shares a selection of her favourite music with Rob. Conductor Lorin Maazel in music by Mendelssohn, Scriabin, Respighi, Schubert and Prokofiev. This week's Essential Choices feature the genre of the Prelude. Conductor: Lorin Maazel. Orchestra: Cleveland Orchestra. Conductor: Neville Marriner. Performer: Andrew Marriner. Orchestra: Academy of St Martin in the Fields Chamber Ensemble. Performer: Artur Balsam. Performer: Oscar Shumsky. Orchestra: Berlin Radio Symphony Orchestra. Conductor: Kent Nagano. Choir: Berlin Radio Choir. Orchestra: Chicago Symphony Orchestra. Conductor: Seiji Ozawa. Performer: Pierre Fournier. Performer: Friedrich Gulda. Performer: William Dongois. Performer: Le Concert Brisé. Performer: Werner Güra. Performer: Christoph Berner. Orchestra: London Philharmonic Orchestra. Conductor: Algis Zhiuraitis. Performer: Timofei Dokshizer. I tend to sound sforzando and have explosive tendencies. Stravinsky’s musical description of me lead to his first commission from Sergei Diaghilev. Handel wrote a famous wind band suite to accompany me.